The ONEcleaner Enzymatic Surgical Instrument Detergent Enzyme Cleaners reprocessing costs. 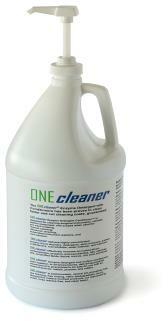 The ONEcleaner four enzyme detergent surgical instrument cleaning solutions lubricate while they clean. The ONEcleaner replaces multiple products for cleaning surgical instruments and cleaning endoscopes faster, and residue free. The highly concentrated ONEcleaner, four enzyme surgical instrument cleaning detergents, deliver superior cleaning performance. Four enzymes are necessary to effectively breakdown all forms of proteinaceous bioburden from soiled surgical instruments. Surgical instrument cleaning solutions that do not contain these four enzymes cannot remove all forms of proteinaceous bioburden as effectively. The four surgical instrument cleaner enzymes are lipase surgical instrument cleaner enzymes for fat, amylase enzymes for starch, carbohydrase enzymes for high starches, and Protease enzymes for proteins, such as blood. The ONEcleaner enzymatic surgical instrument cleaning solutions cut costs. The highly concentrated, lubricating, four enzyme surgical instrument detergent, is non irritating, biodegradable, neutral pH, phosphate free and delivers the four enzymes necessary to effectively breakdown and remove bioburden from surgical instruments. Surgical instrument cleaners and washer disinfector detergents that do not contain these four enzyme detergents cannot remove all forms of proteinaceous bioburden. For the surgical instrument cleaning process to be thorough, four surgical instrument detergent enzymes are needed. For a listing as to the specific functions the four enzyme cleeaners perform Click Here. The four enzyme enzymatic surgical instrument detergent will lower cleaning costs, clean surgical instruments faster, and replace multiple cleaning products. The ONEcleaner surgical instrument cleaning solutions clean fast and remove surgical instrument stains. Contact yourCEBA for surgical instrument cleaning detergents that replace multiple enzyme, detergent, lubricating, ultrasonic cleaning, and stain removing surgical instrument cleaning products. 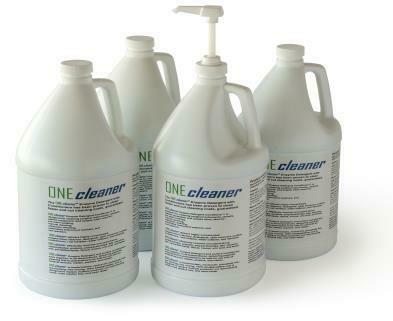 The ONEcleaner surgical instrument cleaners lower inventory costs for enzymatic ultrasonic cleaning and automated washer surgical instrument detergents. The highly concentrated lubricating conditioners delivered by the ONEcleaner surgical instrument cleaning solutions clean faster.